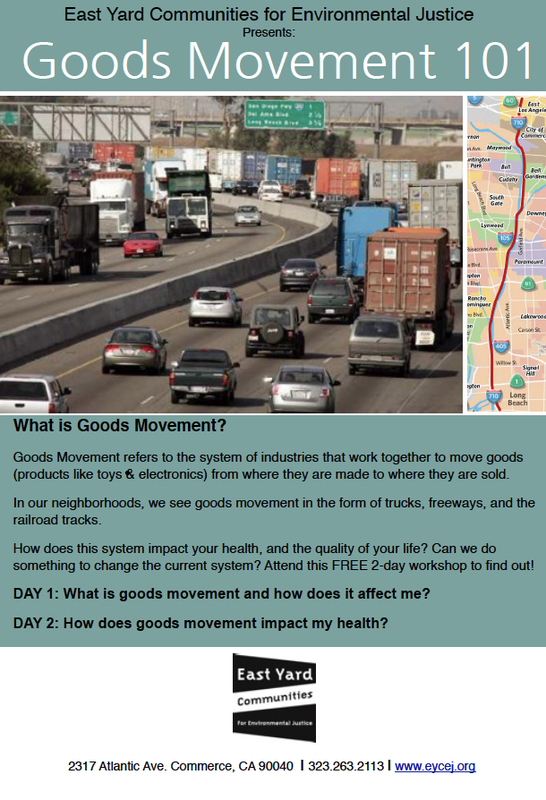 Goods Movement refers to the system of industries working to move goods and products from where they are made to where they are sold. Learn how this diesel-fueled system of trucks, trains, freeways, rail yards and warehouses impacts your health. 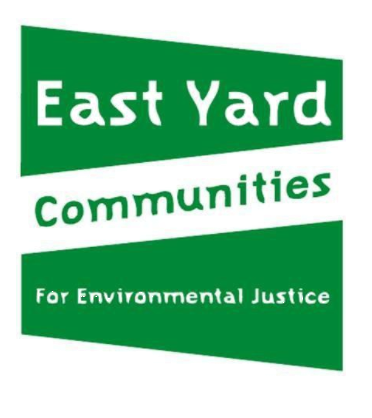 Get updates on current local and regional campaigns concerning goods movement, and find out how you can help improve your community’s quality of life. For more details or to RSVP for a workshop series, please e-mail Jacqueline Munguia (jmunguia@eycej.org) or call our office at 323.263.2113.